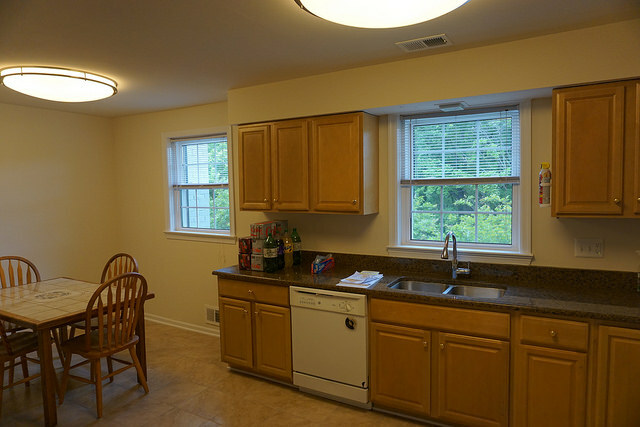 Individuals in Northern Virginia suffering from brain injury or brain diseases, such as schizophrenia and bi-polar disorders, now have newly upgraded residences to call home with the completion of extensive renovations of two group homes run by the Brain Foundation of Fairfax County. The Brain Foundation provides affordable, stable housing for those suffering from serious brain diseases who are homeless or vulnerable to becoming homeless. HomeAid and Builder Captain K. Hovnanian Homes completed the project—one of two Brain Foundation Projects done concurrently in May 2017. The home, occupied by four women, has new and much safer exterior stairs, an updated kitchen, and an entirely repainted interior, representing a $34,500 investment. During renovation, a serious black mold issue was also discovered and abated, ensuring a much healthier space for all who live there. Virginia Cleaning & Punchout, Inc.